On April 24, 2013 I started another gorgeous day with a stroll through the narrow medieval alleyways of old Sorrento and watched as the locals went for their daily shopping trips and the tourists strolled past the many souvenir shops, browsing for a special gift to bring home. 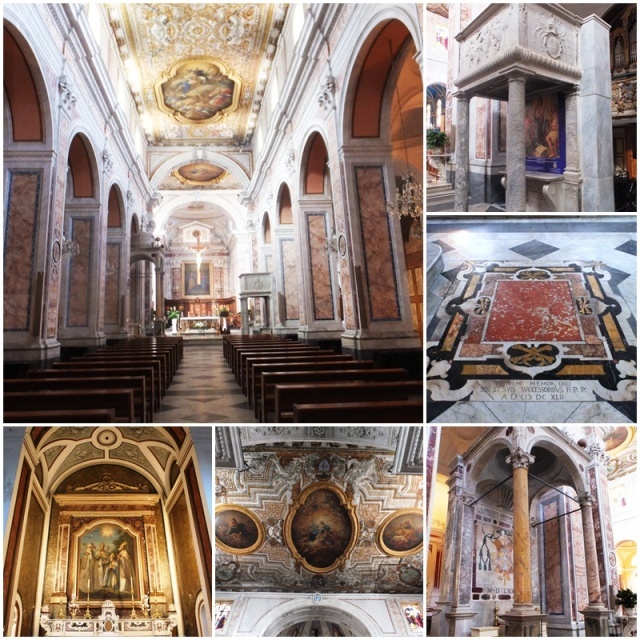 Just a few steps farther I had reached the Cathedral of Sorrento, located on Corso Italia, Sorrento’s main street. This church was first started in the 11th century and then substantially rebuilt in the 1400s. Famous Sorrentine poet Torquato Tasso was baptized here and the base of the belfry dates as far back as the Roman times. Then I continued walking westwards on Corso Italia until I reached Jolly Car and Bike Rental where I was planning to borrow an electric bike, a perfect vehicle to explore this hilly area. I am an absolute fan of electric bicycling, and particularly in the hilly areas surrounding Sorrento, a little bit of electric assistance would certainly come in handy. On a curvy road I rode up the hill from Sorrento towards Massa Lubrense and enjoyed the gorgeous views over the Bay of Naples and the Island of Capri in front of me. As I was pedalling I saw a sign for “Villa Nella – Agriturismo” – staying on a local farm, as the concept “agriturismo” means, is very popular in Italy and a great way to connect with the local culture. I decided to stop in and learn more about this unique place. Villa Nella is an active farm that grows olives, lemons as well as red and white wine. Giuseppe, the manager, and Simone, the waiter, showed me the beautiful property which has an awesome view of Naples and the island of Capri. 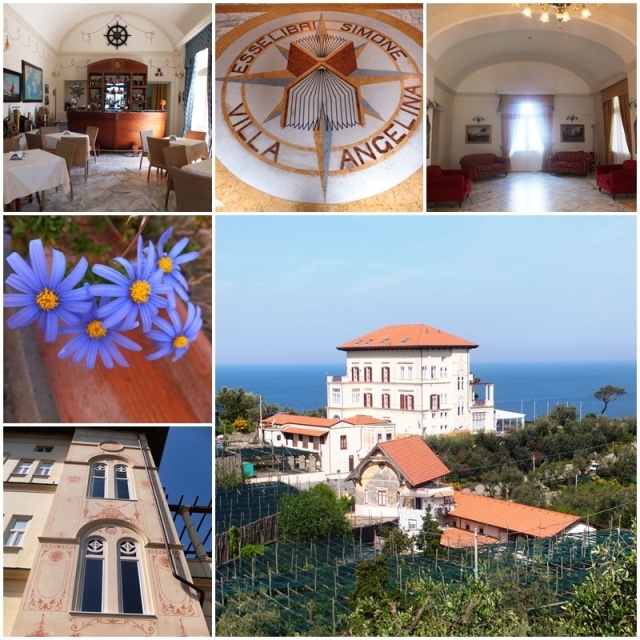 Then they sent me up the hill to the beautiful mansion of Villa Angelina which today is a resort and a conference center. In the mid 1930s, the villa was purchased by Achille Lauro, one of Italy’s wealthiest and most well-known ship owners and also a long-time mayor of Naples. Many Italian celebrities – including Sophia Loren – have stayed in this villa and today, this magnificent private estate with the gorgeous views is a favourite place for weddings. 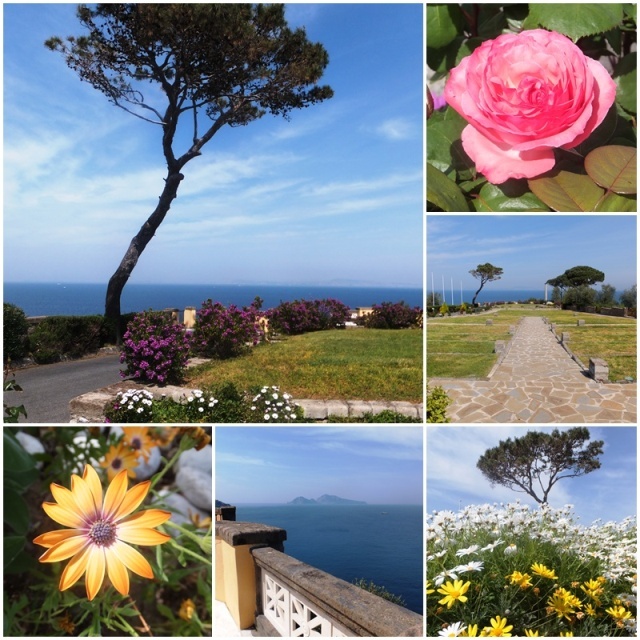 The gardens of Villa Angelina are simply breathtaking, especially with their elevated location above the Mediterranean which opens up amazing panoramas of Capri and the Bay of Naples. There is even a Roman villa on the property that was destroyed by the eruption of Vesuvius in 79 AD. Villa Angelina and Villa Nella are connected as they have the same owner. 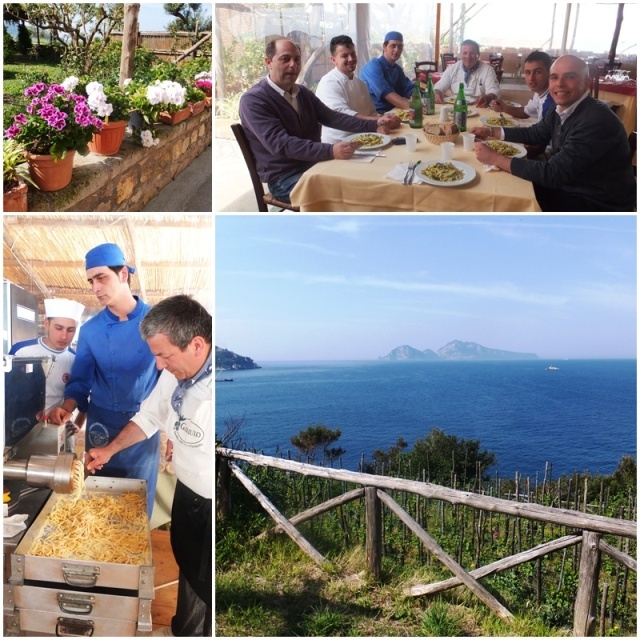 After my visit to Villa Angelina I cycled back down the hill to Villa Nella where the team was preparing lunch for the employees at noon. They invited me to join them and I enjoyed the most delicious plate of fresh zucchini pasta with melted cheese in a great family atmosphere. Then I got to see a demonstration of pasta making. 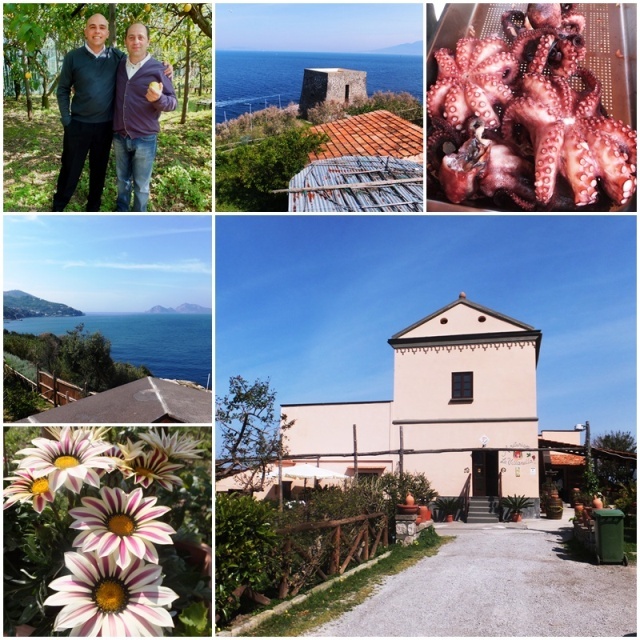 Villa Nella produces all its vegetables on site organically and the fresh fish gets delivered daily by the fishermen as they come in with their catch. 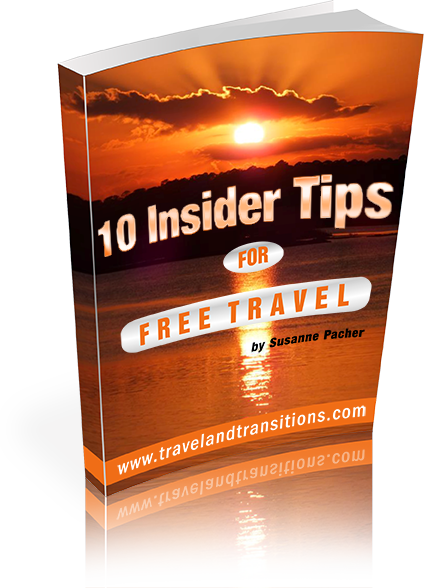 Guests at this farm B&B can take lessons to learn how to cook Southern Italian style. 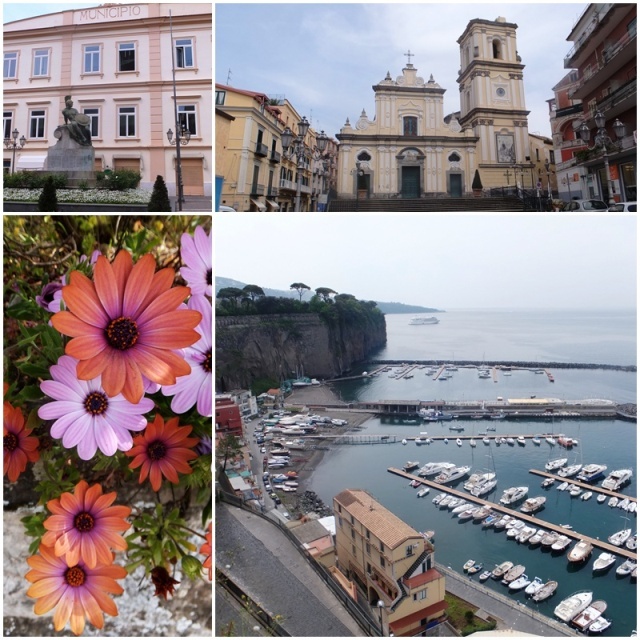 After this amazing display of spontaneous hospitality at Villa Nella I cycled back into Sorrento and explored the neighbouring districts of Sant’ Agnello and Piano di Sorrento. Similar to Sorrento, these two communities are is located on top of the cliff and provide amazing vistas of the Bay of Naples. I took a rest in a beautiful little park high up on the rock above the waterfront from where I had a nice view of the local harbour. On my way back into Sorrento I came across a large garden, right in the middle of the city: Giardini di Cataldo is the last large privately owned garden in Sorrento and it is a lemon and orange grove. 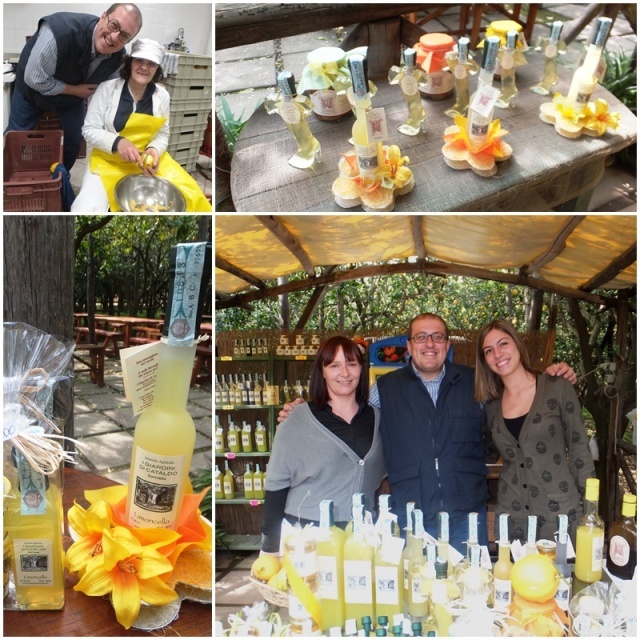 The owners provide free samples of their handcrafted products and I got to taste limoncello (lemon liqueur), orange, walnut, basil and licorice liqueur. Owners Rosella Esposito and Pasquale di Leva showed me around and even took me to their limoncello production facility where I saw first-hand how limoncello is produced. It all starts with shaving off the skins off the lemons (all organic, no pesticides) and only four ingredients are used: lemon rinds, alcohol, water and sugar. In the evening I took another stroll through the narrow atmospheric alleyways of Sorrento. The streets were very busy; musicians were out playing beautiful music and the shops were still open as tourists and locals were enjoying their evening walk. I settled in for dinner at La Lanterna, a romantic restaurant that is located right on Via Cesarea, one of the busiest pedestrian streets in Sorrento. 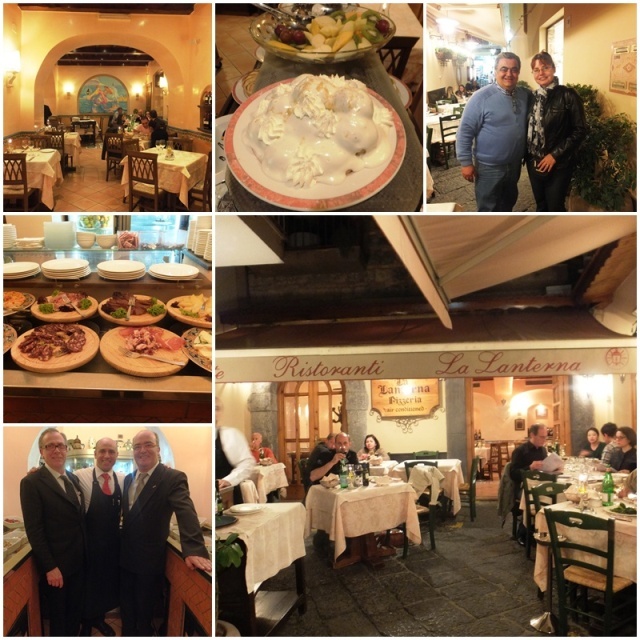 The restaurant offers authentic Sorrentine cuisine and is actually located on top of the ruins of ancient Roman baths. 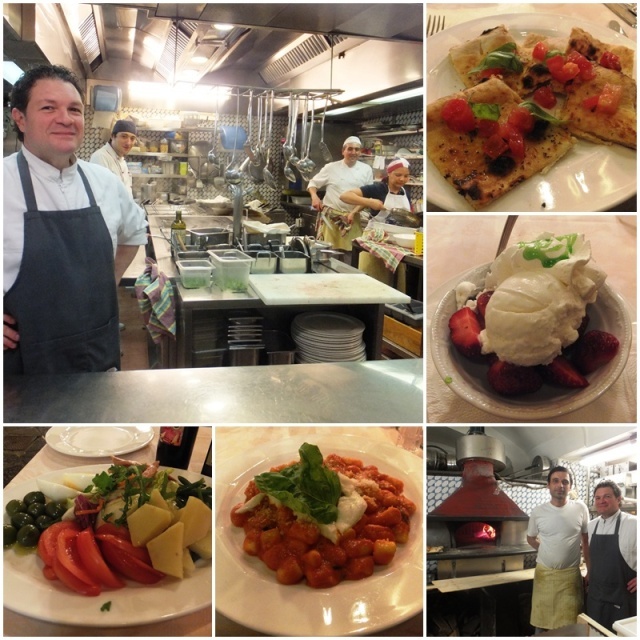 At La Lanterna, I got to enjoy some delicious Sorrentine flavours: starting with tomato bruschetta, followed by an Insalata Nizzarda and Gnocchi alla Sorrentina (with tomato sauces and mozzarella). I capped off a delicious meal with fresh strawberries, ice cream and whipped cream. Thank god I had gone on a long bike ride earlier; otherwise I would have felt really guilty about eating such a large, yet delicious meal! I also got a kitchen tour and saw the pizza kitchen where all the delicious pizzas are made. Around 10 pm I headed back to the Gran Hotel La Favorita to rest up for another big day tomorrow: an excursion to the enchanting island of Capri.